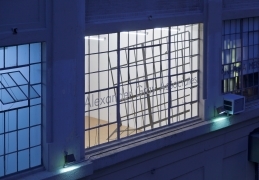 9.25" x 14" x 14"
Alexander Gray Associates presented the Gallery’s second exhibition with the Brazilian artist, Regina Silveira. 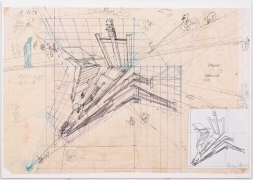 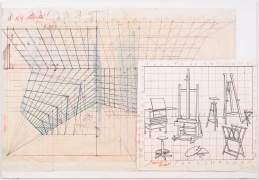 Since the 1960s, Silveira’s work has defied genre, moving between forms of installation, printmaking, sculpture and photography to explore visual distortion, perspective and scale. 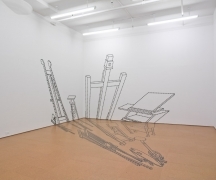 For her exhibition at the Gallery, Silveira exhibited her signature vinyl-decal mural-installations. 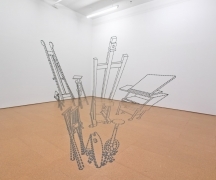 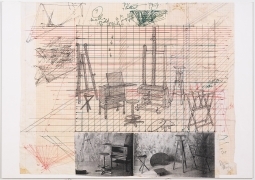 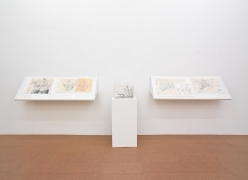 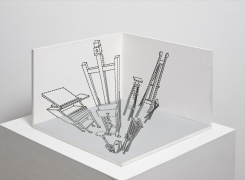 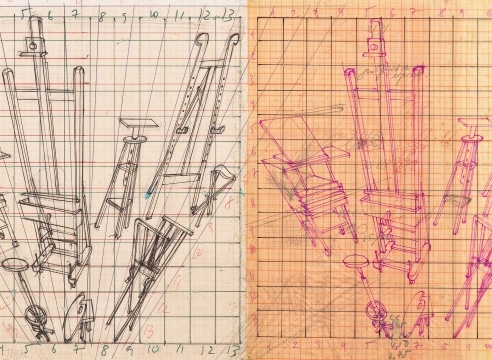 The main installation, from her celebrated series, Desaparencia, depicts black and white diagrams of artists’ ateliers, graphically suggesting the ghosts of easels, tables, palettes, and other tools of the artist’s studio. 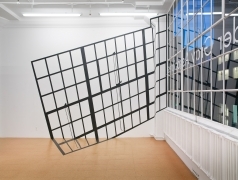 In its iteration at Alexander Gray Associates, Silveira’s installation suggests the disappearance of traditional studio practice and location, as well as expectations of creation and alchemy that surround artistic mythology. 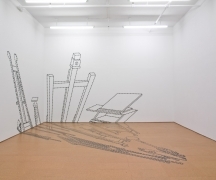 Further exploring the Gallery’s architecture, Silveira presented a new, site-specific installation in the Gallery’s viewing room, facing Phase II of the High Line park. 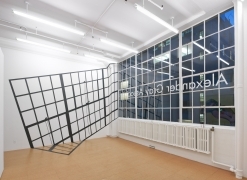 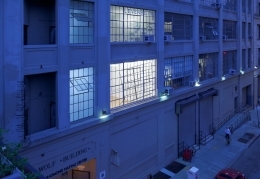 Viewable from the 26th Street fly-over and staircase, Silveira projects a false shadow of the Gallery’s 1920s casement windows onto a long wall; the impossibility of this cast through a north-facing window underscores the illusionistic impulse of Silveria’s oeuvre.